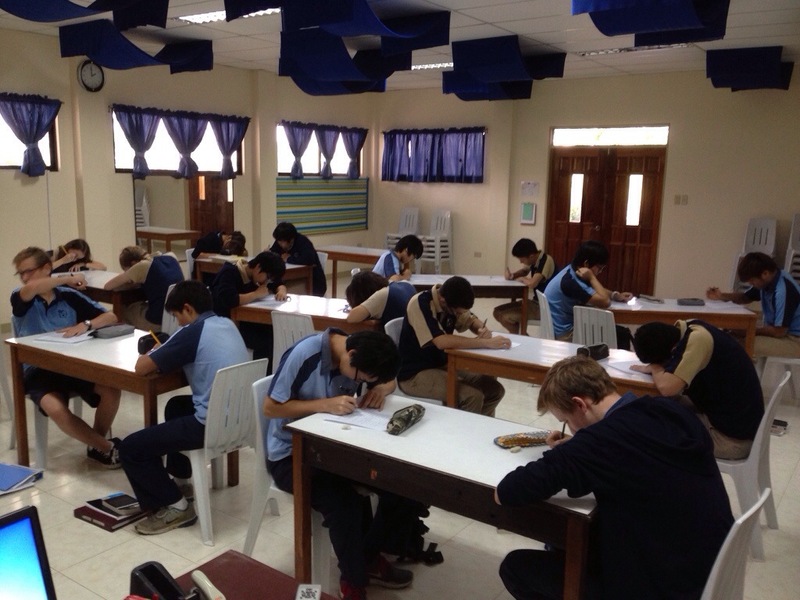 Above: Matt’s Epic Literature class at Faith Academy taking a quiz. Do you know what percentage of the children of Christians enter full-time Christian service as missionaries, pastors, and other similar callings? One in two hundred, or 0.5%. Yet among the children of missionaries, that figure soars to 3 out of every 10, 30%. And of those 3, two of them will eventually go back to serve on the overseas mission field in some capacity themselves, and 17% will be long term missionaries. (Numbers from Raising Resilient MKs) I have ten classes a week to talk about the Bible, God, and literature with 40 of these young men and women. Probably 10 or 15 of these kids will be teaching others the things I teach them about Jesus this year. Like Sora with her student missionary-midwives, God has put me in a place of greater leverage than I had in Cincinnati. When I was 12 years old and in the public schools (a miserable experience I would never wish on my kids), my mother taught me Latin at home. It was determinative for my future life, though I resisted and grumbled about it at the time. (“Do those Latin flashcards, or you’ll have no dessert tonight!” Yes, Mom was a tough cookie.) My pre-teen perspective was that I took a full slate of classes at school just like everyone else, so why should my summer vacation be ruined by having to learn Latin? But the lesson I subliminally learned was that my mother loved me and that she thought a knowledge of Latin was a precious enough possession that it was worth imparting to me despite my grumbling. That was the takeaway for me: teaching someone difficult concepts and ideas was a way of loving them. This love-language doesn’t work for everyone, and sometimes it isn’t understood until years later, but when it clicks, it is a beautiful thing. Above: Naomi sharing the love with Hosanna via Ørberg’s Lingua Latina Per Se Illustrata. This is a ministry that targets a smaller audience (“faithful men”, not unbelievers) and takes more time with them. One of the first questions my Latin students asked was, “How long will you be here?” They wanted to be sure that we are in it for the long haul before committing to a long-term course of study. It takes time to learn an ancient language, or to cover the history of the early church, or to survey the Jewish background of the New Testament. Deep academic instruction is not a “one-and-done” ministry. 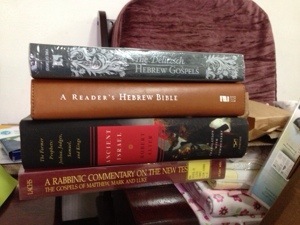 A little light reading on Jewish background and Hebrew Bible. The depth of serious instruction gives me the chance to build the same sort of teacher-student-parent triangular relationships that I had as a teacher in Cincinnati. A teacher doesn’t just affect kids; through kids, he also touches parents. (How many MHA parents heard from their kids over dinner, “Guess what outrageous thing Mr. Colvin said today?”) Parents trust teachers with their kids. If you’re a faithful and excellent teacher, you will win favor and the hearts of parents. Many of our senders in Ohio have that relationship with me, and they are sponsoring our presence here in Davao City because they want me to form that sort of relationship with others. While my position teaching MKs at Faith Academy Mindanao was semi-miraculously lined up within 24 hours of deciding to become a full-time missionary, it isn’t the only ministry I’m engaged in here. I have also been blessed by our friends Pastor Vic and Cathy Bernales. Even before we arrived, they welcomed us with open arms. They have sought out opportunities for me to teach Filipino students. I have filled the pulpit for Pr. Vic when he was away. He invited me to teach church history and Jewish background of the NT in his Reformed Institute of Ministry. He and Cathy are the organizers of the homeschooling coop here in Davao City, and they advertised my Latin class and introduced me to other families who wanted to have their kids learn. They have also embraced with enthusiasm the idea that I should start a Greek class, and are spreading word about it to their friends and acquaintances in other churches. 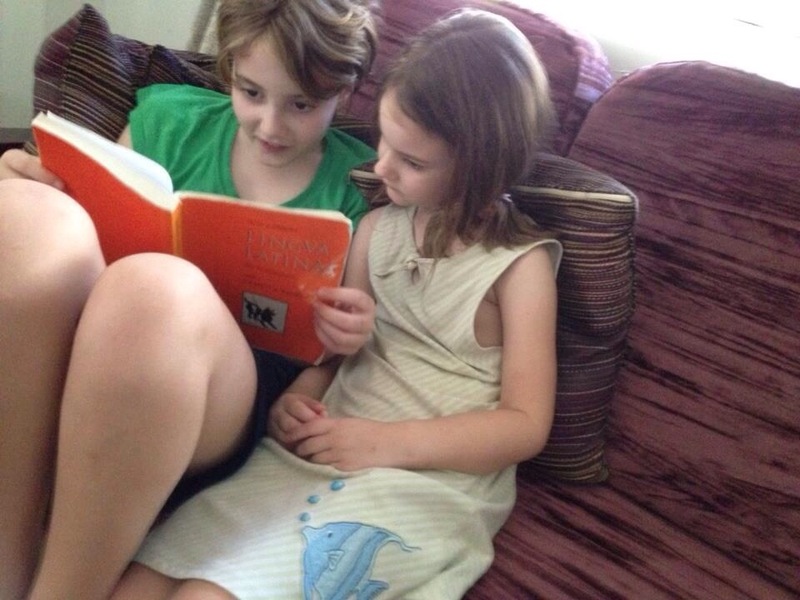 Their own older children, Yuri and Ysha, have been students in all my Latin and RIM classes. More than anyone else here in Davao City, they have been the enablers of my ministry here, seeking out opportunities for me to teach, and connecting me with Filipino homeschooling families and adult learners. I’m about to start the second academic quarter at Faith Academy tomorrow. When I get home, I’ll have Latin class in our dining room. Then it’s off to church to teach NT Jewish Background from 6:30 to 9:00. (Yes, Tuesday is loaded!) Thank you to our senders, and to the parents of my students, for entrusting me with this ministry. This entry was posted in Calling, Faith Academy, Matt's Teaching and tagged Faith Academy Mindanao, homeschoolers, Latin, Teaching. This is a wonderful post and explanation of your work, Matt. Thank you.